Canada’s legal framework for government procurement is based on a number of bodies of rules, including trade agreements, statutes, regulations, case law, policies and custom. The legal framework does not apply uniformly across Canada. As a federation, Canada has two distinct jurisdictions of political authority: the nationwide federal government, and 10 provincial governments. Canada also has three territories, Yukon, Northwest Territories and Nunavut, which are not discussed in this chapter. The legal rules that apply to government procurement at the federal level are different from those that apply to the provinces, and the rules that apply to public bodies at the provincial level differ from province to province. At the federal level, the central piece of legislation regulating government procurement is the Government Contracts Regulations (GCRs)2 issued pursuant to the Financial Administration Act (FAA).3 The FAA contains general provisions applicable to federal government procurement, while the GCRs contain more detailed provisions. The federal government is also subject to binding and enforceable commitments made pursuant to trade agreements with other nations, such as the World Trade Organization’s Agreement on Government Procurement (GPA) and the North American Free Trade Agreement (NAFTA), which are discussed in greater detail below. There are also numerous policies and directives that apply to federal government procurement. Public Services and Procurement Canada (PSPC), which is the department responsible for the federal government’s internal servicing and administration, develops, implements and maintains the Supply Manual, which specifies the procedures of procurement and includes standard clauses for the procurement process. The Supply Manual does not have the force of law, and procuring authorities have no legal obligation to include the standard clauses contained therein. In addition to these and other statutes, policies and trade agreements, there is a compendious volume of case law that serves to define the rules and principles applicable to federal government procurement. Different provinces have taken alternative approaches to procurement. Most provinces have enacted little legislation respecting government procurement and leave it largely up to public agencies to develop internal policies by which public purchasing will take place. Some provinces have enacted more comprehensive legislation. For instance, Quebec has enacted an Act respecting contracting by public bodies4 that, along with its regulations, prescribes specific rules that apply to public purchasing by all public agencies in Quebec. In the same vein but to a lesser extent, Nova Scotia, New Brunswick, Saskatchewan, and Newfoundland and Labrador have enacted government procurement legislation of broad provincial application. Ontario has taken something of a hybrid approach. The Broader Public Sector Accountability Act 20105 authorises an executive committee of Ontario to issue directives governing public procurement, which resulted in the Broader Public Sector Procurement Directive being issued in 2011. The Directive does not have the force of law, but nevertheless applies as a general best practice to all designated public agencies in Ontario. The international trade agreements to which Canada is a signatory do not have the force of law in the provinces. That said, the provinces have entered into domestic treaties among themselves; these treaties are binding and subject to dispute resolution processes. As is the case federally, each province has its own body of case law regarding government procurement. One of the most significant contributions that the judiciary has made to the procurement framework for tenders in Canada relates to what is generally referred to as ‘Contract A/Contract B’. Under this analytical framework, which applies to competitive procurement for tenders throughout Canada, a bidder enters into ‘Contract A’ with the procuring authority when it has submitted a compliant bid in response to a request for bids (or similar document) as part of a legal tender process. ‘Contract B’ refers to the contract to be awarded to the successful bidder. Public agencies enjoy a significant amount of freedom to establish criteria that bidders must satisfy to be eligible to bid on a contract, which correspond roughly with the ‘terms and conditions’ of Contract A. By the same token, pursuant to the tender process, public agencies are bound to the terms of Contract A and are therefore generally prohibited from, inter alia, awarding the contract to a non-compliant bidder, awarding a contract that differs materially from the one offered through Contract A and evaluating bidders based on criteria that differ from those set out in Contract A. These obligations, which will be discussed in further detail below, flow from the fundamental principle that government procurement in Canada is to be open, fair and transparent, which is generally considered to support the principle of value for money. Accordingly, while other means of procurement are technically open and available to the government, the tender process, which supports transparency and fairness, is the means by which the government most typically undertakes procurement. CETA affects virtually every sector of the economy on both sides of the Atlantic, including the government procurement sector. The Ministry of International Affairs has previously stated that ‘access to Canadian government procurement was one of the main reasons, if not the main reason, that the EU agreed to negotiate a trade agreement with Canada’.10 Under CETA, Canada and the EU have committed to open up procurement to a wide range of government entities and to ensure that their respective procurement activities are conducted in a non-discriminatory, impartial and transparent manner. In Canada, CETA opens up procurement at the federal, provincial and municipal levels. CETA likewise opens up procurement at the central, regional and local level in the EU. Under CETA, Canada has also committed to develop a single electronic point of access (online portal) to provide EU suppliers with access to information about procurement opportunities in Canada (similar to the online portal already maintained by the EU). The CPTPP is expected to incorporate the provisions of the TPP, with the exception of a limited set of provisions that will be suspended.15 The government procurement provisions of the TPP are expected to remain largely unchanged in the CPTPP; therefore, the CPTPP is expected to provide parties with improved access to each other’s government procurement markets. The government procurement provisions of the TPP include core commitments relating to national treatment and non-discrimination, access to information about procurement opportunities, and fair and transparent procurement procedures. c aligns with international rules to ensure that Canadian businesses receive treatment as favourable as foreign businesses. The CFTA also introduces rules intended to establish a transparent and efficient framework to ensure fair and open access to government procurement opportunities for all Canadian suppliers. Key features of the CFTA include an expansion of the scope of government entities covered by open procurement rules, the establishment of a new independent bid protest mechanism, and the development of an electronic Canada-wide single point of access (online portal) to access information about procurement contracts. In May 2017, the United States formally announced its intention to renegotiate NAFTA with Canada and Mexico.17 Renegotiations began in August 2017 and are ongoing at the time of writing. NAFTA came into effect on 1 January 1994 and introduced extensive government procurement rules.18 Chapter 10 of NAFTA requires each Member State to accord national and non-discriminatory treatment to suppliers of goods and services from other Member States, and requires signatories to conduct government procurement in a fair and transparent manner. Chapter 10 has been, and continues to be, a topic of discussion in the NAFTA renegotiations. In December 2016, the Newfoundland and Labrador government enacted new legislation to modernise the procurement framework in the province. The Public Procurement Act19 will repeal and replace the Public Tender Act, which has governed the public procurement process in Newfoundland and Labrador since 1990. At the time of writing, the Public Procurement Act has not yet entered into force. Key features of the new legislation include increased oversight over a broader range of procurement activity; more transparency in the procurement process; increased consistency in procurement practices; and greater flexibility for public bodies in making decisions to award contracts. The new legislation will enable public bodies to consider a broad range of factors in making a decision to award a contract and to determine which bid offers the ‘best value’. The introduction of the concept of ‘best value’ will be a significant departure from the framework established under the Public Tender Act, which generally requires public bodies to award contracts to the bidder offering the lowest price. On 1 December 2017, the Quebec government’s Bill No. 108: An Act to facilitate oversight of public bodies’ contracts and to establish the Autorité des marchés publics, entered into force.20 Bill No. 108 establishes a new agency, the Autorité des marchés (the Authority), to oversee all public procurement in the province. In addition, the Bill provides the Authority with the responsibility to apply the Act respecting contracting by public bodies21 as regards ineligibility for public contracts, prior authorisation to obtain public contracts, or subcontracts and contractor performance evaluations in relation to the performance on contracts. Bill 108 confers various powers on the Authority, including the powers to audit and investigate and, following an audit or investigation, to make orders or recommendations, or suspend or cancel a contract. The Authority is empowered to examine the compliance of a tendering or awarding process for a public contract on its own initiative, after a complaint is filed by an interested person, or on the request of the chair of the treasury board of Canada or a bidder. The Bill also introduces several amendments to the Act respecting contracting by public bodies, including a requirement that public bodies publish a notice of intention before entering into certain contracts by mutual agreement and a requirement that public bodies establish a procedure for receiving and examining complaints that they receive regarding their procurement activities. In July 2015, PSPC introduced the Integrity Regime to help ensure that the government of Canada does business with ethical suppliers in Canada and abroad.22 Under the Integrity Regime, suppliers that have been convicted of certain offences are declared ineligible or suspended from doing business with the Canadian government. Between September and December 2017, the government conducted a public consultation to seek input on potential enhancements to the Integrity Regime and on a possible Canadian ‘deferred prosecution agreement’ (DPA) regime.23 In February 2018, a summary report was prepared by the government.24 According to the report, while participants expressed support for the Integrity Regime’s objective, the majority of participants stated that additional discretion and flexibility needed to be built into the Integrity Regime to take into account aggravating and mitigating factors in the determination of an appropriate period of debarment. Further, the majority of participants supported having a Canadian DPA regime, acknowledging that DPAs could be a useful additional tool for prosecutors to use at their discretion in appropriate circumstances to address corporate criminal wrongdoing. The government is currently reviewing the feedback received during the consultation, and considering whether enhancements to the Integrity Regime and the introduction of a Canadian DPA regime are warranted. At the federal level, government procurement rules generally apply to procurements by federal government departments; corporations that were incorporated under a federal statute; corporations that receive the majority of their funding from the federal government; and their agents. However, federal government entities that are creatures of statute and that are mandated to compete with the private sector are not generally subject to the public procurement laws. Government procurement rules likewise apply in general to all public bodies at the provincial level. 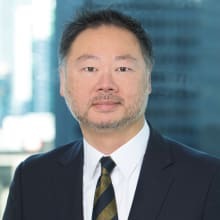 Although the details may differ from province to province, the procurement rules that have been developed by the Supreme Court of Canada apply generally to all public bodies in Canada. This includes the Contract A/Contract B framework described above for tenders, and the corresponding duties that are incumbent upon the purchaser, such as the duty to conduct fair competition. In addition, certain legislative instruments prescribing procurement rules specify the entities to which they apply. For instance, Quebec’s Act respecting contracting by public bodies applies to, among other entities, municipalities, government departments, entities like universities, health institutions and social services agencies that are part of a group commonly referred to as the MASH sector, and bodies that are wholly or partly funded by the National Assembly of Quebec. Similarly, Ontario’s Broader Public Sector Procurement Directive applies to most entities in the MASH sector as well as publicly funded organisations that received funds of C$10 million or more in the previous fiscal year from the government of Ontario. Markedly, municipalities are not covered by the Directive. In provinces where no public procurement legislation has been enacted, courts have stepped in to develop a regulatory public procurement framework that generally applies to all public entities. All contracts for the supply of goods, services or works with the above-described public bodies are regulated by government procurement rules. The question of which rules apply depends on the contracting public body at issue and the type of contract at issue. For example, the GCRs apply to federal government entities and set out certain requirements that apply to all federal procurement contracts. However, some contracts, such as National Film Board contracts, Veterans’ Land Act construction contracts and legal services contracts, are exempt from the bulk of the requirements in the GCRs.25 These exempt contracts are nevertheless subject to certain core requirements, such as the contractor warranting that it has not been convicted without pardon of prescribed offences that would put into question the integrity of the contractor. Prescribed monetary thresholds respecting the value of the public contract may also determine the extent to which the government procurement rules apply, as will be touched upon below. The procurement rules applicable to utilities are generally the same as for other procurement processes. Defence contracting, which is the realm of the federal government, is also generally subject to the same rules as those for other procurement processes, although exemptions to the duty of non-discrimination imposed by international trade agreements may apply where issues of national security are at stake. As many as three federal departments will be involved in major procurements of military services and equipment: Innovation, Science and Economic Development Canada (formerly Industry Canada), which is responsible for industrial and regional benefits (also known as offsets); the Department of National Defence, which defines the requirements of the acquisition; and PSPC, which manages the procurement process, negotiates the contract and then manages the contract once signed. Major military procurements may be subject to the Industrial and Regional Benefits Programme, which requires successful bidders to make investments in advanced technology in certain sectors and areas of Canada in amounts sometimes equal to the value of the specific contract. Where procurement is deemed to be subject to the federal Defence Production Act,26 the underlying documents will be exempt from the rigorous disclosure requirements applicable under federal laws, which helps to ensure that sensitive technology and information are appropriately protected. There are no financial thresholds below which public contracts are completely free from regulation. However, there are financial thresholds below which certain free trade obligations do not apply to federal government entities, as explained below. d only one person is capable of performing the contract. The rules are generally more flexible on the provincial level, where the circumstances in which public entities are not required to hold a competitive procedure will be governed by applicable trade agreements, legislation and, to a lesser degree, policies and directives. Framework agreements and central purchasing on behalf of other public authorities are viable and in some cases encouraged methods of procurement in Canada. In practice, government entities in Canada employ procurement practices that run the gamut between centralisation and decentralisation. For example, New Brunswick’s Procurement Act requires all provincial government departments and various other public bodies to purchase services and supplies through the Ministry of Government Services unless certain narrow exceptions apply.30 On the other hand, public procurement at the federal level is conducted in a relatively decentralised manner. As long as the procurement processes conducted through such arrangements comply with the obligations referred to in this chapter, such as the duty to conduct a fair competition, the duty to disclose all material evaluation criteria and the duty to reject non-compliant tenders, as well as all applicable international trade obligations, procuring authorities and teams are free to establish framework and central purchasing agreements among themselves. Structural and cooperative or contractual public–public joint ventures (JVs) are both viable vehicles for procuring goods and services in Canada. Public bodies entering JVs may be found to be in a fiduciary relationship, which involves legal duties of fidelity and good faith. Public bodies seeking to avoid these duties may seek to structure their relationship as a ‘buying group’ instead. The common thread among these arrangements is that there are typically one or several parties who are responsible for procuring goods or services on behalf of the other participants. The precise obligations of the parties involved will depend on the form of legal vehicle assumed and the specific procurement framework in which the public bodies operate. Nevertheless, JVs, JV companies and buying groups are all bound by the rules on public contracting outlined in this chapter. Typically, all of the public bodies participating in a JV or buying group will be involved in the procurement process for which the JV or buying group was formed, obviating any concerns associated with one public body supplying another public body without a prior procurement process. 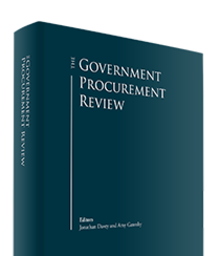 Public–private partnerships (PPPs) are subject to the procurement rules outlined in this chapter. Thus, the PPP generally must be competitively tendered by means of a procedure run in accordance with the rules and principles applicable to all public procurements. Many levels of government in Canada have imposed rules that require procuring authorities to seriously consider PPPs as a delivery mode for a proposed project worth over certain monetary thresholds. For example, federal projects intended to develop an asset with a lifespan of at least 20 years and having capital costs of at least C$100 million must be subject to a business case to determine whether a PPP may be a suitable procurement option.31 P3 Canada is the public body responsible for advancing the use of PPPs on the federal level. e tender, which is normally used when the acquired item is well defined (often a commodity product) and all that matters is price. Electronic bidding is permissible and offered on selected tenders. As public entities enjoy a significant amount of freedom to define the rules of the bidding process, bidders should review the terms set out in the tender documents to determine whether there are any limits on amending submitted bids during the bidding process. Purchasers are generally not permitted to allow a bidder to rectify deficiencies in a bid after the deadline for bid submissions has passed. This flows from the obligation of purchasers to reject non-compliant tenders, which flows from the duty to run a fair competition. Where the rules of the bidding procedure permit suppliers to clarify aspects of their bids, such right should only be used in limited circumstances for the bona fide clarification of a genuine ambiguity in a tender. Public entities enjoy a significant amount of freedom to stipulate any criteria that bidders must satisfy to be eligible to bid, and to define situations in which a bidder will be disqualified. This freedom is subject to certain restrictions. First, under the federal procurement framework and those of certain provinces, bidders are automatically liable to be disqualified if they have committed certain prescribed offences that would call into question their integrity (such offences will be listed in the tender documents). Some levels of government – notably the provincial government in Quebec – also implement a blacklist for suppliers with a track record of questionable conduct. Once public entities have established the requirements to which bidders must comply, they must only consider compliant bids. Any deviation from this principle creates a risk of the procurement process being declared unfair, although some leeway is permitted for bids that may not have strictly complied with all of the requirements but that have substantially complied with all material requirements of the tendering process. Purchasers are subject to a duty to avoid any conflict of interest that could compromise the integrity of the tendering process. This obligation flows from the duty of purchasers to conduct a fair competition when soliciting bids. Purchasers will typically specify in the tender materials any circumstances that constitute a conflict of interest sufficient to disqualify a potential supplier. Bidders should review the tender documents carefully to ensure that they do not meet any of these conflict of interest criteria. In addition, bidders may be subject to a positive duty to declare any actual, potential or perceived conflict of interest or else risk adverse consequences upon the discovery of the conflict of interest. Case law suggests that more than the simple appearance of a potential conflict is necessary to establish a conflict of interest at law. Public bodies may open RFPs to foreign suppliers, and are required to do so under certain circumstances. The monetary thresholds referenced below are in effect during the period from 1 January 2018 to 31 December 2019 and revised periodically in accordance with their respective treaties. International free trade agreements such as the Canada–Korea Free Trade Agreement (CKFTA) and the Canada–Honduras Free Trade Agreement (CHFTA) also prescribe monetary thresholds over which contracts must be offered to Canada’s trading partners. e the Ontario–Quebec Trade and Co-Operation Agreement. There is no requirement that foreign suppliers set up a local branch or subsidiary, or have local tax residence to do business with public bodies. Nevertheless, public bodies may choose to establish such criteria during the procurement process if doing so would not breach their free trade obligations or other duties (e.g., duty to conduct a fair competition), if any. Public entities issuing a call for tenders must disclose all criteria by which the purchaser will evaluate bidders. Purchasers that use undisclosed criteria to evaluate bidders risk being found liable for doing so. Although purchasers are allowed to include significant reservations in a call for bids, courts may not enforce such reservations if doing so would be at odds with the duty to run a fair competition. Changes made to evaluation criteria during the bidding process can likewise result in a breach of the purchaser’s legal duty to run a fair evaluation process. Public entities are generally free to establish the terms by which they will evaluate bids. Where the estimated price of the contract is likely to be low, public entities typically evaluate bidders based on the lowest-priced bid. Otherwise, public entities generally evaluate bidders based on, inter alia, the best value, which gives them more leeway in taking into account other attributes besides just the price of the bid. It is up to public entities to establish the rules that govern the award of a contract to a selected supplier. Purchasers are under a general duty to award the contract as tendered. Suppliers may be found liable where the awarded contract deviates in a material respect from the contract terms contemplated by the call for tenders. Purchasers are also required to distinguish the selection of one or more preferred bidders from the actual award of the contract in question. If the purchaser stipulates that it will negotiate with a number of preferred bidders before awarding the contract, then it is entitled to do so as long as it also complies with its other obligations, such as its duty to be fair to all bidders. 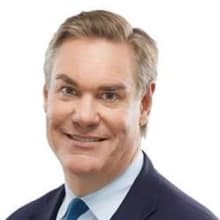 As previously noted, procuring authorities enjoy significant freedom to determine which considerations they will take into account when deciding who will be awarded a contract. Procurement authorities have the duty to disclose these considerations in the tender documents and are generally not permitted to take any considerations that have not been disclosed into account when evaluating bids. This duty flows from the general duty of procuring entities to conduct a fair competition. Consequently, national interest, local, social and environmental considerations can be and often are taken into account by procuring authorities. The main restrictions on favouring domestic suppliers during the procurement process are imposed by trade agreements. For example, the GPA, which binds the federal government, imposes an obligation of non-discrimination and transparency on government procurement. Nevertheless, exceptions exist with respect to, inter alia, national security and national defence (Article XXIII). Likewise, Article 1018(1) of NAFTA exempts ‘protection of . . . essential security interests’ and procurements ‘indispensable for national security or for national defence purposes’. Public entities holding a competitive bidding process are subject to a duty to disclose all material information about the contemplated contract to all bidders. In general, what is deemed material for the purposes of the disclosure duty is any information that could influence a bidder’s decision to bid or influence the price quoted by the bidder. As noted above, this also includes criteria that the purchaser will be relying on when evaluating bids. Public entities often provide unsuccessful bidders with the opportunity to learn why they lost a contract and why another bidder won. Pursuant to freedom of information legislation, the federal, provincial and in some cases municipal governments and their agents are required to furnish certain information upon request to persons entitled to such information. In many cases, this includes information about why the public entity awarded public contracts to certain parties and not to others. Debriefing unsuccessful bidders gives them an opportunity to improve their bids on future tenders and keeps purchasers accountable with regard to their obligations. Subject to the specific rules of a particular procurement process, public entities are generally under no obligation to notify unsuccessful bidders of the outcome before signing a contract. Public entities are required to balance their disclosure obligations with their confidentiality obligations. Bidders are entitled to privacy interests over information disclosed during the procurement process, with the strength of those interests intensifying in proportion to the sensitivity and confidentiality of the information at issue. Courts have recognised that releasing supplier information may impair the willingness of others to participate in public procurement processes. Courts have ordered the disclosure of documents with confidential information redacted from them. Confidentiality obligations are stricter during the bidding process, but a more balanced approach to confidentiality and transparency is taken after the contract has been awarded. A supplier that seeks to complain about a federal government procurement process has a number of choices, which can be taken simultaneously, serially or individually. To begin with, it can sue under the common law of Canada (typically for breach of contract and any applicable tort grounds). The supplier can also sue for breach of the GCRs. The supplier can also complain to the Canadian International Trade Tribunal (CITT) for a breach of Canada’s obligations under applicable trade agreements such as NAFTA, the GPA, CETA and the CFTA.46 Under the CFTA, Canadian provinces and territories must also establish or designate an independent administrative or judicial authority to receive and review challenges by suppliers. The GCRs and Canada’s trade agreements all contain different language, meaning that the federal government is subject to a host of obligations that may look similar in substance but that diverge in nuanced ways. Further, the CITT’s procedural approach to complaints is significantly less formal than that of the courts. A dissatisfied supplier suing the federal government has at its disposal a range of choices with regard to complaint procedures. A supplier that seeks to complain about a provincial government procurement process is generally limited to suing under the common law of Canada and pursuant to any specific provincial public contracting regulations. Suppliers looking for redress for a breach of the CFTA may avail themselves of protest procedures set out in provincial regulations, any applicable dispute resolution process that has been established by the particular public body at issue and the courts. Public bodies’ internal policies do not have the force of law, and so breaches of these policies cannot found a lawsuit. Nevertheless, breaches of policies can be relevant to determining whether some wrongdoing occurred. The rules of the procurement process may also include a dispute resolution process. Awards are challenged primarily by parties who bid on the contract at issue. The CITT hears complaints respecting procurement involving the federal government covered by NAFTA, the GPA, CETA, the CFTA and certain other international trade agreements. Section 6 of the Canadian International Trade Tribunal Procurement Inquiry Regulations47 provides that a complaint must be filed with the CITT within 10 working days from the date on which the potential supplier first became aware, or reasonably should have become aware, of its ground of complaint to either object to the contracting authority or file a complaint with the CITT. The CITT provides quick remedies, usually issuing its decision within 90 days of the complaint having been made. Costs vary depending on the complexity of the matter. Besides communicating directly with the contracting authority, courts are the preferred forum for all other procurement-related complaints. Limitation periods on judicial proceedings differ depending on the court and jurisdiction. The Limitations Act (Ontario) assigns a basic limitation period of two years.48 Costs vary depending on the complexity of the matter. Challenges may be brought on the grounds of a breach of one or more applicable international trade agreements, statutes, regulations and contracts. Breach of contract encompasses a number of grounds that are unique to the procurement framework, such as breach of the purchaser’s duty to conduct a fair competition, to make full disclosure of, inter alia, evaluation criteria and to reject non-compliant bids. A purchaser’s failure to disclose material information and honour the representations made in its tender call can also give rise to concurrent tort claims. The CITT has the power to postpone the award of a contract, to order a procurement to be undertaken again or to award damages to a complainant. Courts have more sweeping powers that include the granting of injunctions, setting aside contracts, ordering procurements to be undertaken again and awarding damages to the complainant. New inter-provincial and international free trade agreements, and new provincial public procurement legislation indicate that there will be significant changes to the public procurement landscape in Canada in the near future. These developments are aimed largely at opening up Canadian procurement markets while making the public procurement more transparent and consistent, and all stakeholders more accountable to the public. 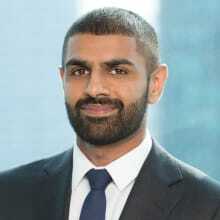 1 Theo Ling and Daniel Logan are partners and Randeep Nijjar is an associate at Baker McKenzie. The authors would like to thank Jonathan Tam for his contribution to the original version of this chapter. 3 RSC 1985, c F-11. 5 SO 2010, c 25. 6 Global Affairs Canada, ‘Comprehensive Economic and Trade Agreement (CETA)’: www.international.gc.ca/trade-commerce/trade-agreements-accords-commerciaux/agr-acc/ceta-aecg/text-texte/toc-tdm.aspx?lang=eng (last updated 21 November 2016; last accessed 28 February 2018). 7 Chronology of events and key milestones regarding CETA, Government of Canada, available at: www.international.gc.ca/trade-commerce/trade-agreements-accords-commerciaux/agr-acc/ceta-aecg/chronology-chronologie.aspx?lang=eng (last updated 31 January 2018; last accessed 28 February 2018). 8 European Commission, ‘EU-Canada trade agreement enters into force’, 20 September 2017: http://trade.ec.europa.eu/doclib/press/index.cfm?id=1723 (last accessed 28 February 2018). 10 Parliament of Canada, ‘Canada–European Union Trade Negotiations: 6. Government Procurement’, 3 September 2010: www.lop.parl.gc.ca/content/lop/ResearchPublications/2010-57-e.htm (last accessed 28 February 2018) at s 2. 11 Global Affairs Canada, ‘Trans-Pacific Partnership (TPP)’: www.international.gc.ca/trade-commerce/trade-agreements-accords-commerciaux/agr-acc/tpp-ptp/text-texte/toc-tdm.aspx?lang=eng (last updated 20 December 2016; last accessed 28 February 2018). The 12 parties to the TPP were Australia, Brunei, Canada, Chile, Japan, Malaysia, Mexico, New Zealand, Peru, Singapore, the United States and Vietnam. 12 Office of the United States Trade Representative, ‘The United States Officially Withdraws from the Trans-Pacific Partnership’, January 2017: www.ustr.gov/about-us/policy-offices/press-office/press-releases/2017/january/US-Withdraws-From-TPP (last accessed 28 February 2018). Without the United States, the TPP could not enter into force as it required ratification by at least six states that together have a GDP of more than 85 per cent of the GDP of all signatories. 13 The CPTPP is currently undergoing translation and legal review, after which the text of the agreement will be made public. 14 CPTPP – Frequently asked questions, Government of Canada, available at: www.international.gc.ca/trade-commerce/trade-agreements-accords-commerciaux/agr-acc/cptpp-ptpgp/faq.aspx?lang=eng (last updated 20 February 2018; last accessed 28 February 2018). 15 Global Affairs Canada, ‘Comprehensive and Progressive Agreement for Trans-Pacific Partnership (CPTPP), Annex II - List of Suspended Provisions’, available at: www.international.gc.ca/trade-commerce/trade-agreements-accords-commerciaux/agr-acc/cptpp-ptpgp/annex2-annexe2.aspx?lang=eng (last updated 10 November 2017; last accessed 28 February 2018). 16 Internal Trade Secretariat, ‘Canadian Free Trade Agreement (CFTA)’: www.cfta-alec.ca/canadian-free-trade-agreement (last accessed 28 February 2018). 17 Office of the United States Trade Representative, ‘USTR: Trump Administration Announces Intent to Renegotiate the North American Free Trade Agreement’, May 2017: www.ustr.gov/about-us/policy-offices/press-office/press-releases/2017/may/ustr-trump-administration-announces (last accessed 28 February 2018). 18 Global Affairs Canada, ‘North American Free Trade Agreement (NAFTA)’: www.international.gc.ca/trade-commerce/trade-agreements-accords-commerciaux/agr-acc/nafta-alena/fta-ale/index.aspx?lang=eng (last updated 30 November 2016; last accessed 28 February 2018). 19 Available at: www.assembly.nl.ca/Legislation/sr/statutes/p41-001.htm (last accessed 28 February 2018). 20 Available at: www.assnat.qc.ca/en/travaux-parlementaires/projets-loi/projet-loi-108-41-1.html (last accessed 28 February 2018). 22 The Government of Canada’s Integrity Regime, PSPC, available at: www.tpsgc-pwgsc.gc.ca/ci-if/ci-if-eng.html (last updated 22 February 2018; last accessed 28 February 2018). 23 Consultation: Expanding Canada’s toolkit to address corporate wrongdoing, Public Services and Procurement Canada (PSPC), available at: www.tpsgc-pwgsc.gc.ca/ci-if/ar-cw/index-eng.html (last updated 22 February 2018; last accessed 28 February 2018). 24 Available at: www.tpsgc-pwgsc.gc.ca/ci-if/ar-cw/rapport-report-eng.html (last accessed 28 February 2018). 26 RSC 1985, c D-1. 28 ‘Standard Acquisition Clauses and Conditions (SACC) Manual’, PSPC, General Conditions, Standard Clauses and Conditions, 2010A, 2010B, 2010C, 2029, 2030, 2035 and 2040 under ‘Assignment’. 29 Re IBM Canada Ltd (2003). 30 Procurement Act, SNB 2012, c 20, s 2(1). 31 Treasury Board of Canada Secretariat, ‘Notice on Policy on the Management of Projects’, 12 November 2013: www.tbs-sct.gc.ca/pol/doc-eng.aspx?id=27421&section=text (last accessed 28 February 2018). 42 See Regulation respecting certain supply contracts of public bodies, CQLR c C-65.1, r 2, s 7; and Regulation respecting service contracts of public bodies, CQLR c C-65.1, r 4, s 7. 43 Treasury Board of Canada Secretariat, ‘Contracting Policy Notice 2017-6 Trade Agreements: Thresholds Update’, available at: www.canada.ca/en/treasury-board-secretariat/services/policy-notice/2017-6.html (last accessed 28 February 2018). supply-manual/section/1/25/10 (last updated 17 September 2015; last accessed 28 February 2018). This threshold technically applies to procurement for the period 1 January 2012 to 31 December 2013, although it still appears in the current version of the Supply Manual on the PSPC website. 45 Treasury Board of Canada Secretariat, ‘Contracting Policy Notice 2017-4 Canada-European Union Comprehensive Economic and Trade Agreement (CETA)’, available at: www.canada.ca/en/treasury-board-secretariat/services/policy-notice/2017-4.html (last updated 5 July 2017; last accessed 28 February 2018). This threshold technically applies to procurement for the period from CETA’s entry into force to 31 December 2017. At the time of writing, updated thresholds have not yet been provided by the Treasury Board of Canada Secretariat. 46 Canadian International Trade Tribunal, ‘Mandate’, available at: www.citt.gc.ca/en/mandate (last updated 1 February 2017; last accessed 28 February 2018). 48 Limitations Act, 2002, SO 2002, c 24, Sch B, s 4. 49 RSC 1985, c C-34.